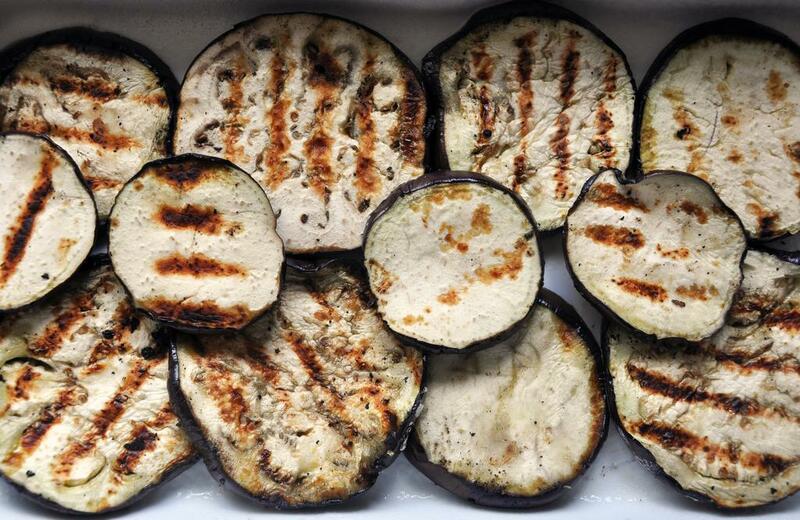 Cut the eggplants into 1/4" slices. Layer in a colander, sprinkling each layer generously with salt. Leave for one hour. This pulls out the bitter juice of eggplant. 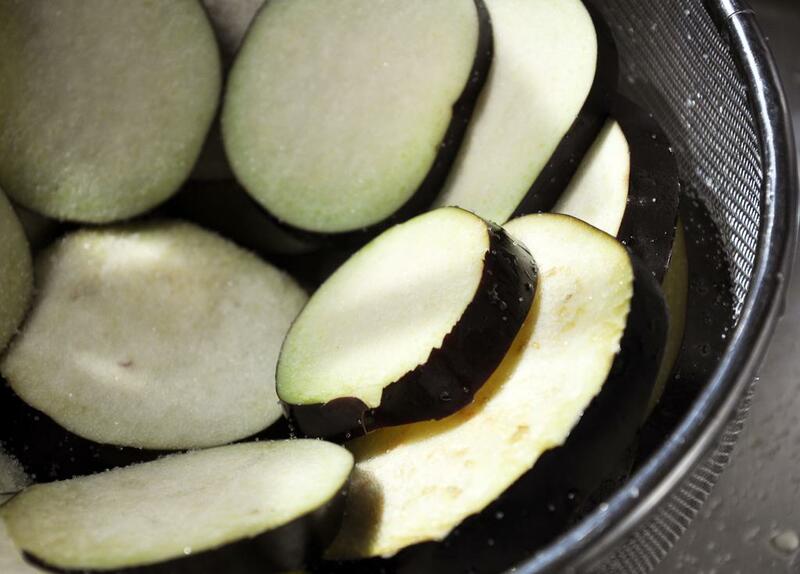 Rinse the salt off the eggplants and dry throughly. Heat up the grill pan (see commentary below) or the largest skillet you got and spray with cooking spray. Grill both sides until you have those lovely grill marks on each side. 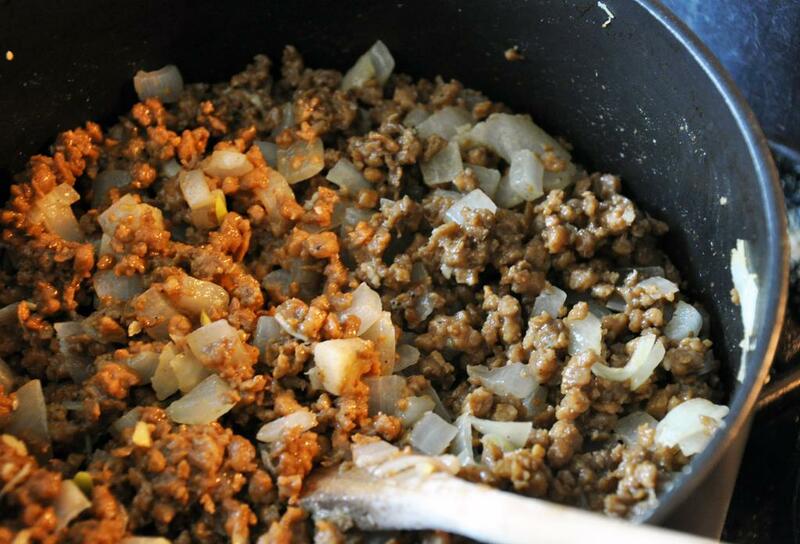 To make the "meat" sauce, heat EVOO in large pot and saute the onion and garlic on medium-low for 10 minutes. Add "meat" and brown over med-high heat, stirring well. 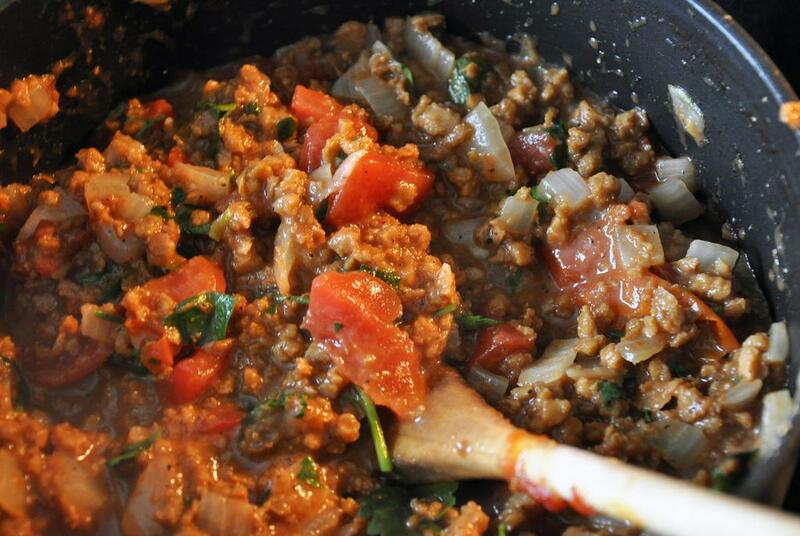 Add the remaining "meat" sauce ingredients and stir well to combine. Bring down the heat to medium-low, simmer, covered for 30 minutes. 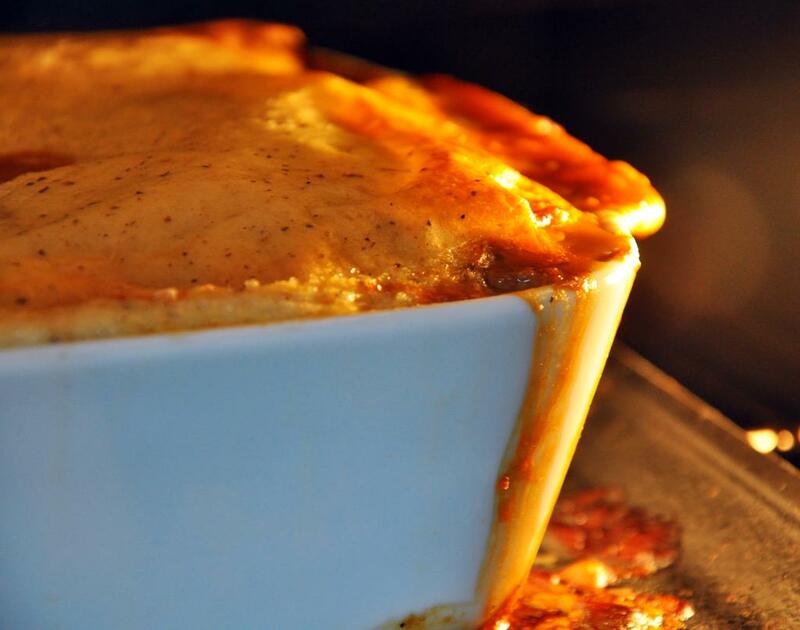 To make the béchamel, melt the butter over med-low heat in a smaller pot than the one you used for the "meat" sauce. 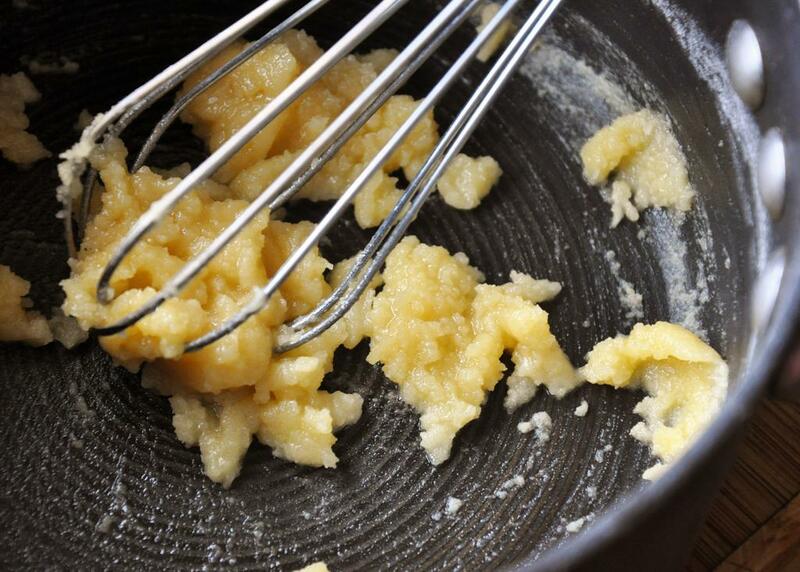 Stir in flour (note: this is called a roux - another fancy French cookery word) and brown for 2 minutes. Bring the heat up to medium and add the milk and whisk frequently until it begins to boil. Turn back down to medium-low and simmer for 2 more minutes. 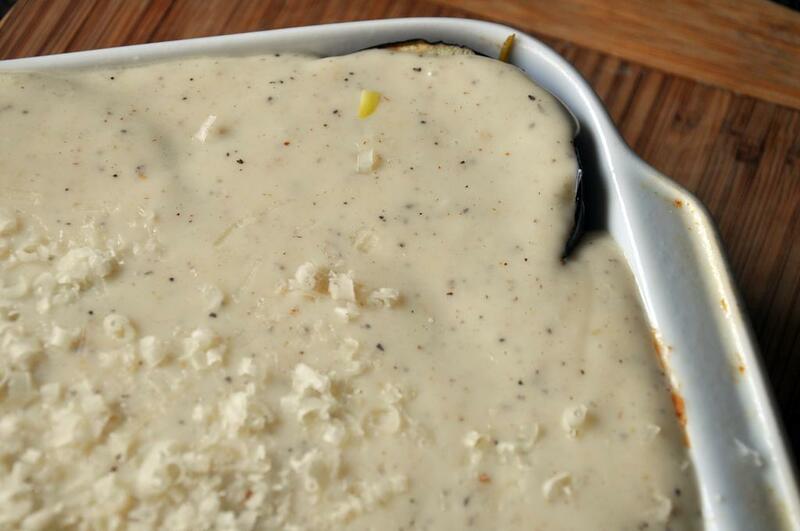 Remove from the heat and whisk in nutmeg, salt, pepper, and half the grated cheese. 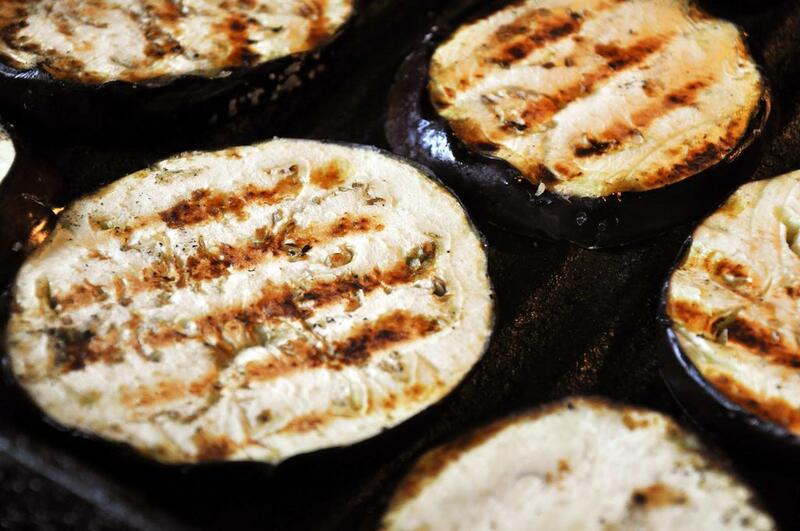 To put it together, place 1/3 of the grilled eggplant in the bottom of a cooking sprayed casserole dish - in a single layer. 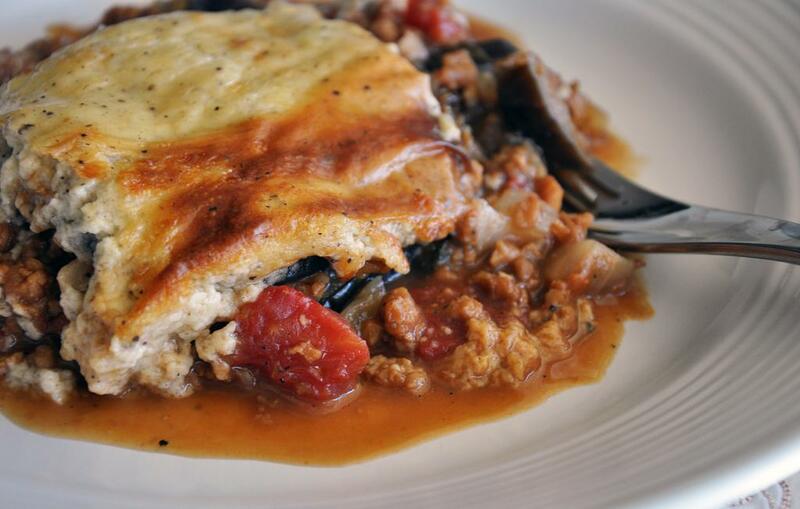 Spread 1/2 the "meat" sauce evenly over the eggplant, and top with another 1/3 of eggplant in a single layer. 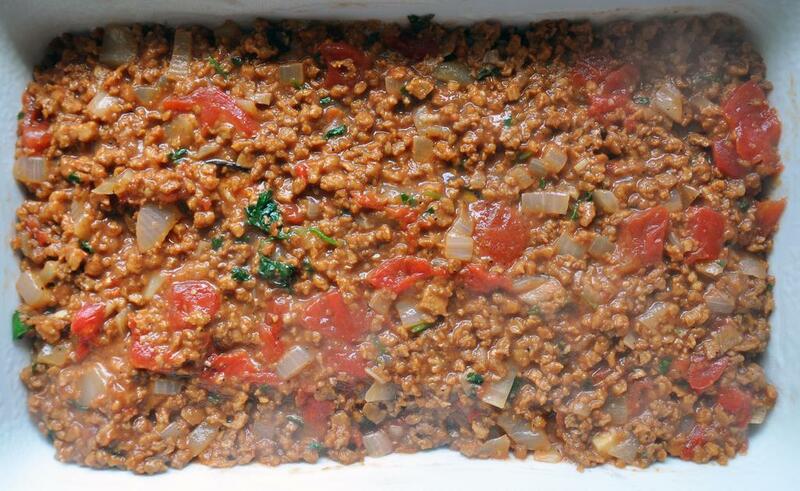 Spread with remaining "meat" sauce and then - you guessed it - the last 1/3 eggplant in a single layer. 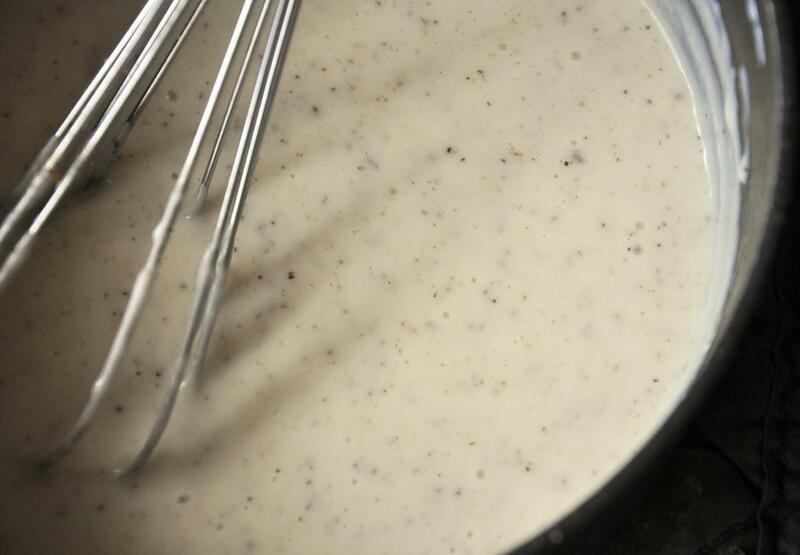 Crack the egg into the cooling béchamel sauce and whisk to incorporate. Spread this evenly over the whole business and sprinkle with remaining cheese. Bake in the oven for one hour. Remove from oven and let cool for 5-10 minutes before cutting and serving. I love moussaka and eggplant. Can’t wait to try your “best dish yet”!